We would like to wish you and your loved ones a Happy Thanksgiving! Today we’d like to thank you for all you’ve done this year to help spread hope and make a difference in the world! We hope that you day is filled with love and hope! 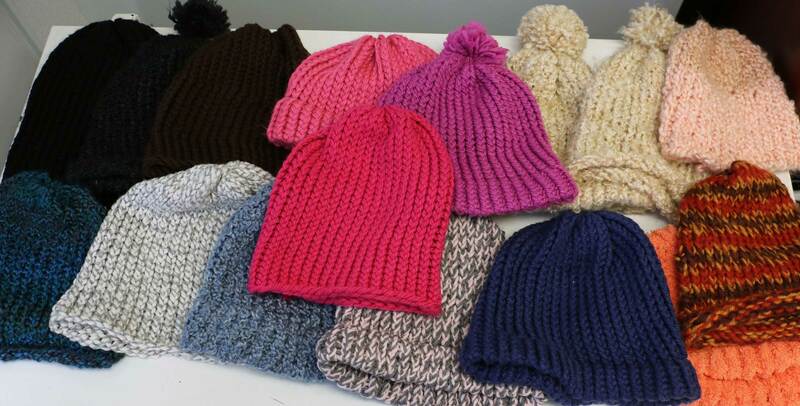 A BIG THANK YOU to Petty Officer Jordan who sent in 10 crocheted hats in different styles, colors and sizes. We are so impressed with these hats and thank you for taking the time to make the hats! 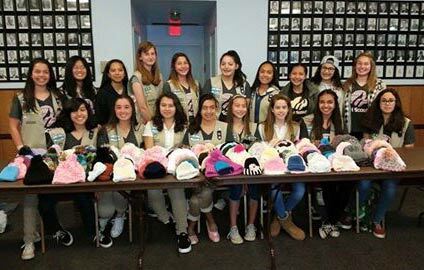 Jordan successfully made each hat different and these will definitely bring smiles and hope to their recipients! We received this box in April, but have been extremely busy and got behind on Knitting Rays of Hope’s business. Keep the hats coming, we will be sending out monthly shipments to our local Neo-Natal Intensive Care Units and Oncology Centers! Thank you for your contribution and service to our country! We rang in 2015 with excitement, gratitude and love! After about a 2 week break for holidays and family time, we are slowly adjusting back into our routines. Vacations are needed to rejuvenate your souls and reconnect with loved ones. But now it’s time to begin work with fresh enthusiasm. Two years ago in January 2012, we began making hats and donating them to chemo centers. We started as a group just trying to make a difference, supporting our loved ones as they fought cancer. 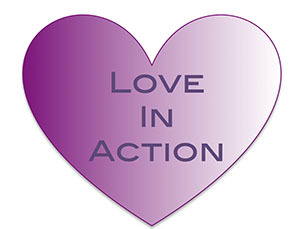 I can’t really articulate how I felt when I saw so much hope during such dark times – love in action. Strangers would gather to love and spread hope to comfort cancer warriors and their families in their own special way. A lady once graced the oncology center by towing her hefty harp and playing lovely, relaxing strings for the cancer warriors as they received their infusions of chemotherapy. I was just so touched and moved seeing how the harpist affected everyone in the room with her talents and efforts. I was inspired- spurred into doing something of my own to make a difference, but what? I am not musically talented, nor artsy or crafty. Well, a group of friends were loom knitting scarves and as I shared my encounters during my sister-in-law’s chemo treatments, we were inspired to make hats on the circular loom. Like I said, I am not crafty by nature, but I was determined and had the support of a great group of friends and the helpful online loom knitting community. And in two years, we are very proud that Knitting Rays of Hope was able to donate 2,290 hats to cancer warriors of all ages, babies in the NICU and a few other strong warriors fighting horrifying diseases! Our web presence has also grown. In 2012, this blog had a total of 6,004 views which grew to 74,975 views for 2014! Our online friends, followers and connections have grown abundantly on Facebook, Twitter and Pinterest as well. But most importantly, our team has magnified– we are receiving hats from other parts of the state and country because our team of contributors care and are making a difference! As we look forward, the cliche would be to set a goal for a number of hats for 2015, but I would rather make a resolution to increase the lives we touch by spreading love and hope, by making a difference in our world, both locally and online, by connecting with more friends and supporters. I encourage all of you to get involved in something that brings joy to your soul by “giving back”. Make a difference in your own way with your own talents. 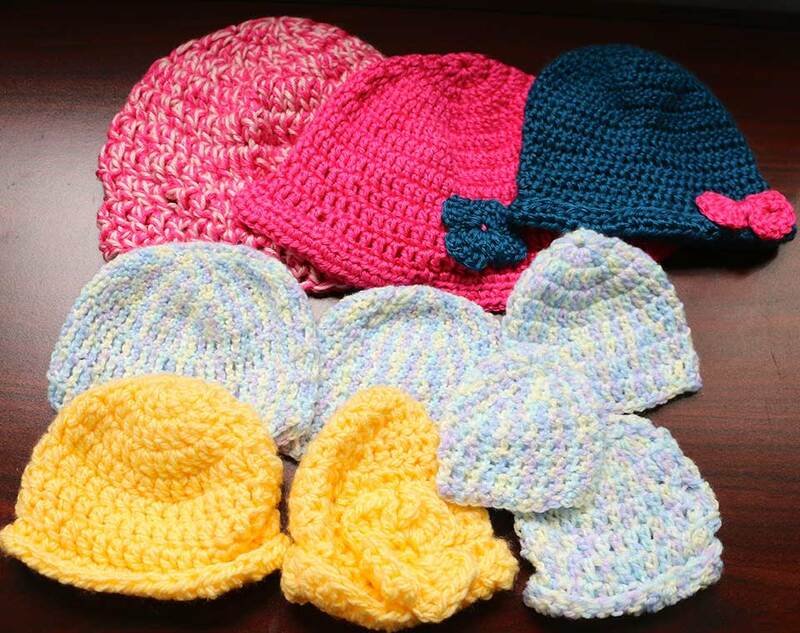 If making a hat for cancer warriors or little babies in the NICU, speaks to you, we would love to receive your creations! For more information, please visit our Get Involved Page or email us or comment below. I wish you all the best as you go forth making a difference in our world.